Wed, Jan 23, 2019, 10:49 pm SL Time, ColomboPage News Desk, Sri Lanka. 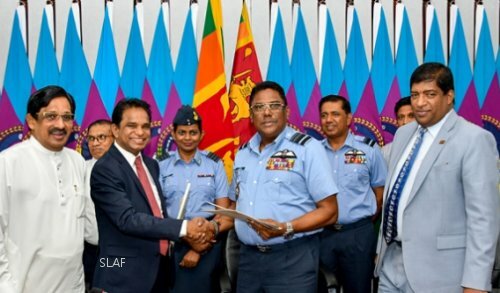 Jan 23, Colombo: Sri Lanka's Air Force and the Ministry of Power, Energy and Business Development have agreed to launch the first ever Cloud Seeding Project in a bid to address the issue of impact of dry weather on power generation in Sri Lanka. The Minister of Power, Energy and Business Development, Ravi Karunanayake, and State Minister of Power and Renewable Energy, A D Premadasa were present for the signing of the MOU. At present, the reduction of water levels of the catchment areas where hydropower is generated, compel the utilization of thermal energy, which comes at a much higher cost and also contributes to adverse impacts on the environment. The process of rainmaking is done by spraying clouds with chemicals using an aircraft. 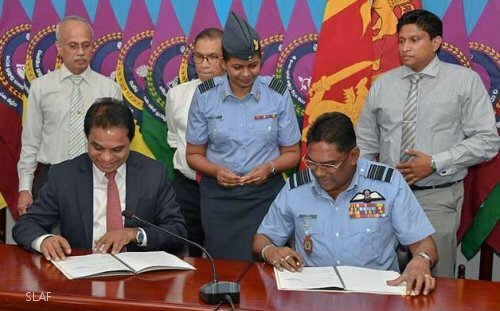 Adopting effective methodologies to increase the rainfall and to harvest that water in order to utilize it for hydro-power generation can result in substantial savings to the national coffers, while also ensuring minimal harm to the environment, the Air Force explained.